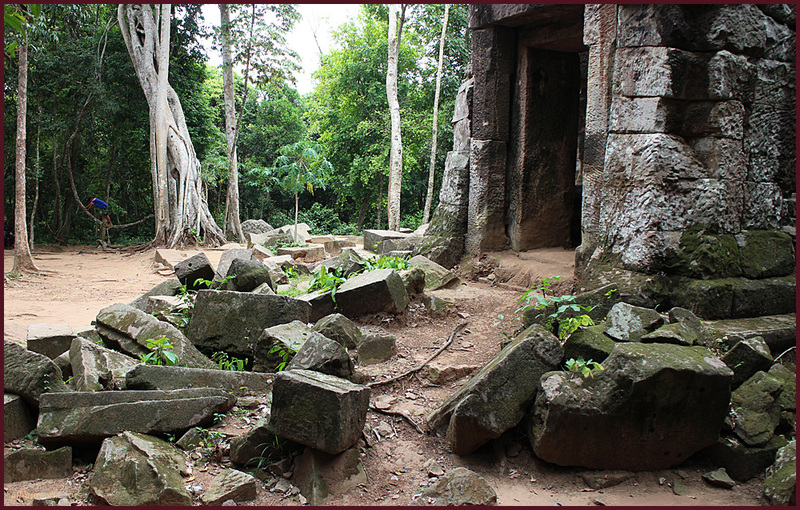 Information about the Khmer Kingdom ruins I have visited in Cambodia, Thailand and Laos. 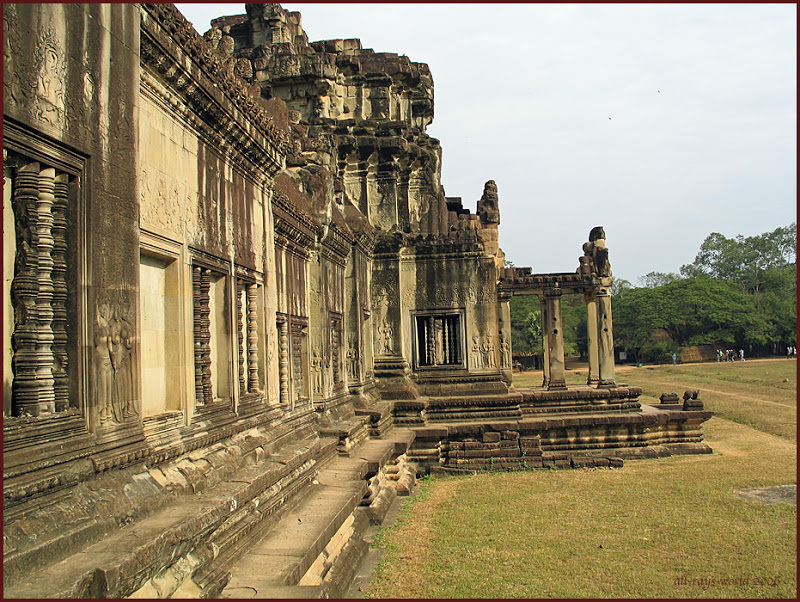 This is the largest and best known Khmer ruins site. There are more than 120 temples in the region, and some of them are huge and spectacular. 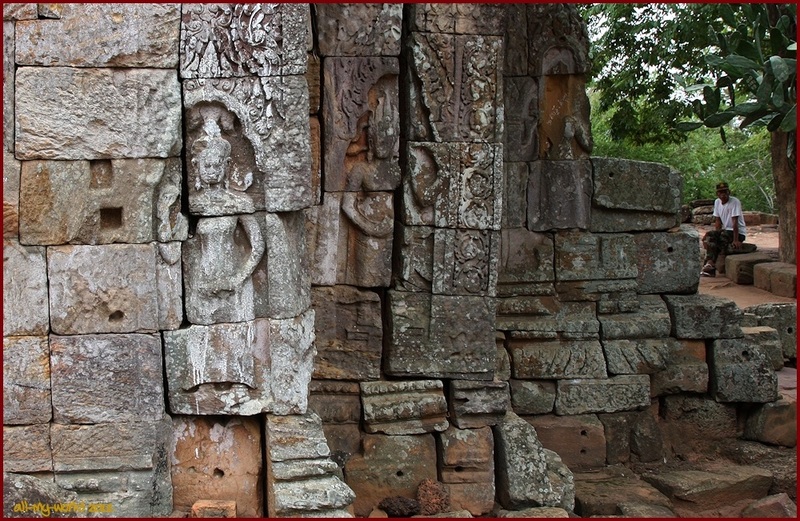 There are several very fine Khmer Ruins sites in and around Batambang, including a museum in Batambang which houses one of the very best carved lintel collections anywhere. 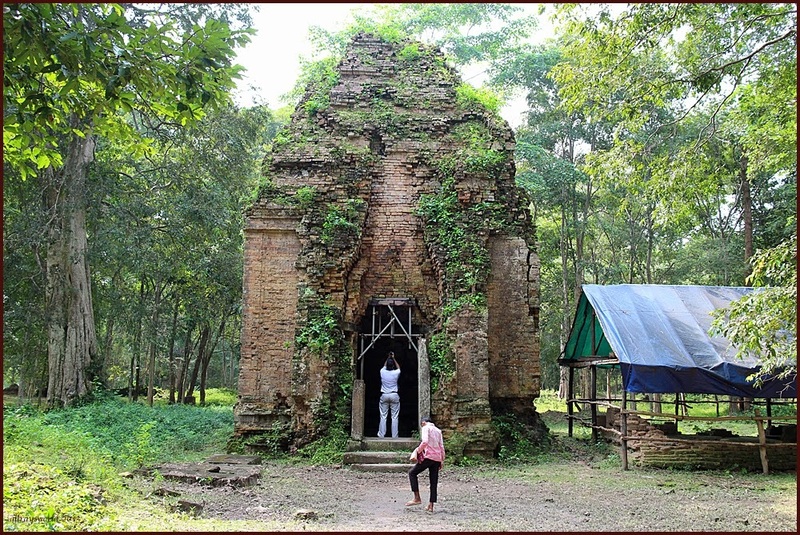 A temple site that pre-dates the Khmer Kingdom by about 300 years, but which was modified and added to during the Khmer period. It is not on the International Tourist radar. I visited this place while on a short road tour with friends Tim and David in October 2013. Wonderful site, with very friendly locals. 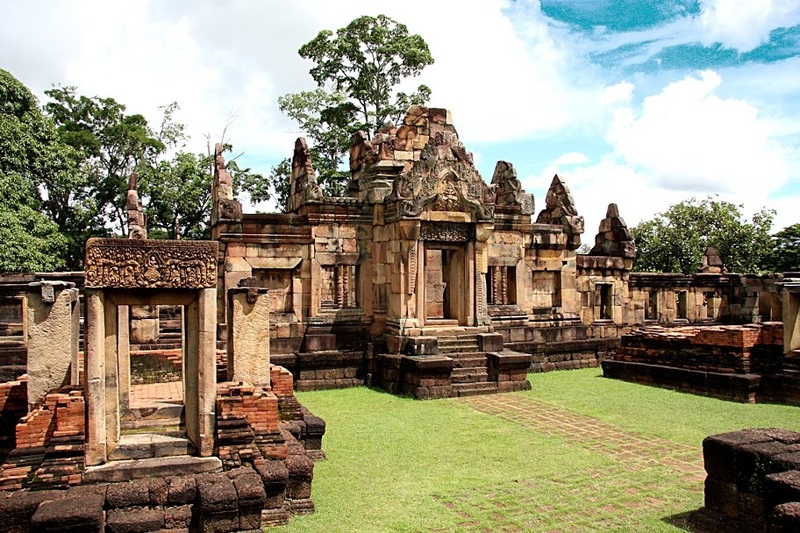 Hin Phimai, near Nakhon Ratchisima [Korat] in NE Thailand, is regarded as the #1 site for Khmer Ruins in all of Thailand. While excellent, it is not my favourite site...that might be Mueang Tam. 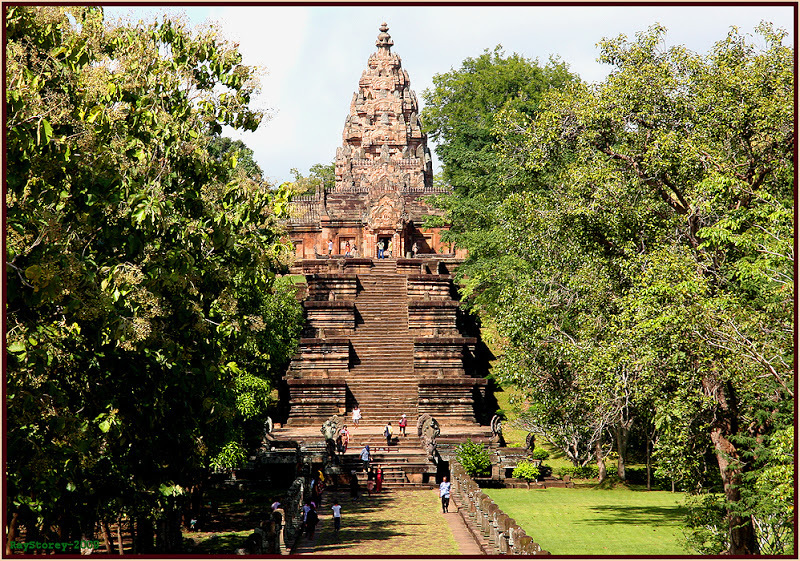 We visit the impressive and extensively restored Khmer Temple site on top of a hill in Isaan, in the NE Thailand province of Buriram, Thailand. Prasat Meaung Tam [means something like "City on the flatlands"] is a walled city comprising numerous buildings and four intact ponds. It is in Isaan in the NE Province of Buriram in Thailand, not many kilometres from its more famous neighbour which is Phanom Rung. Some of the intricately carved sandstone lintels are still in place, and demonstrate the great expertise of the builders of 900 years ago. Well cared for, 5 Prang structure on a single plinth. 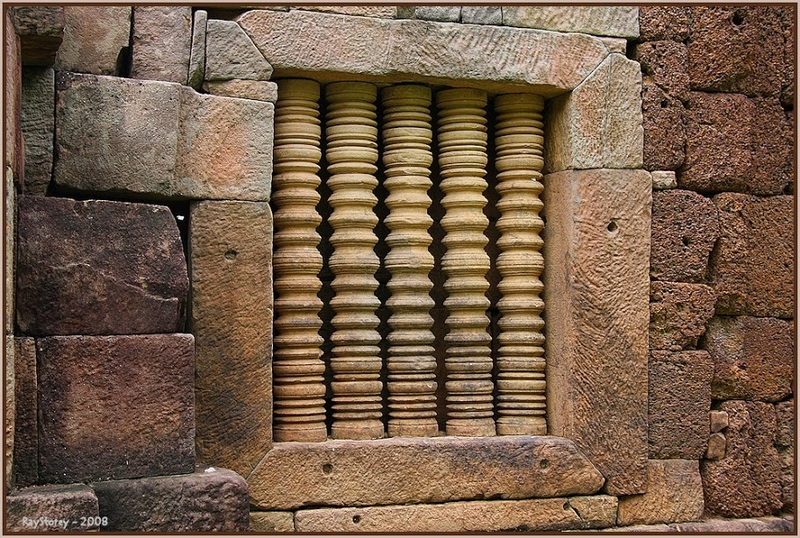 This Khmer ruin is in Surin Province of Thailand, about 430km NE of Bangkok. August 2005...we visit this 900 year old site, not far from Na's home Village. 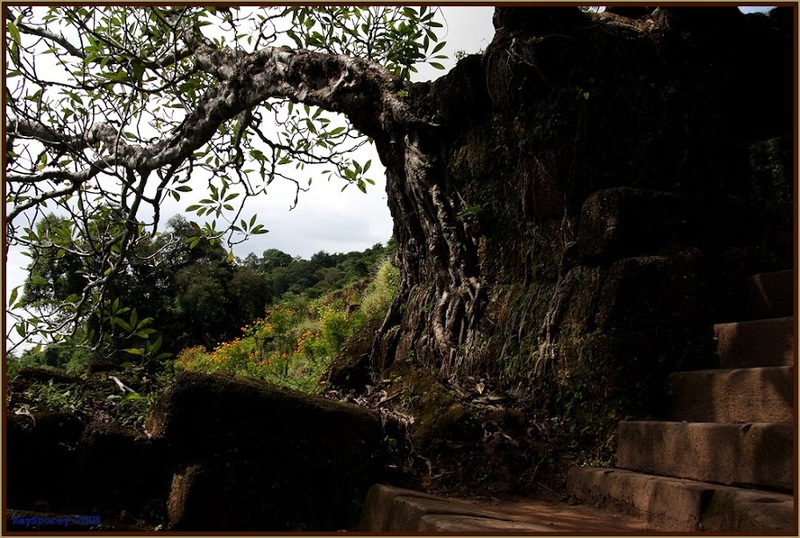 Its a single sandstone prang on a laterite base. 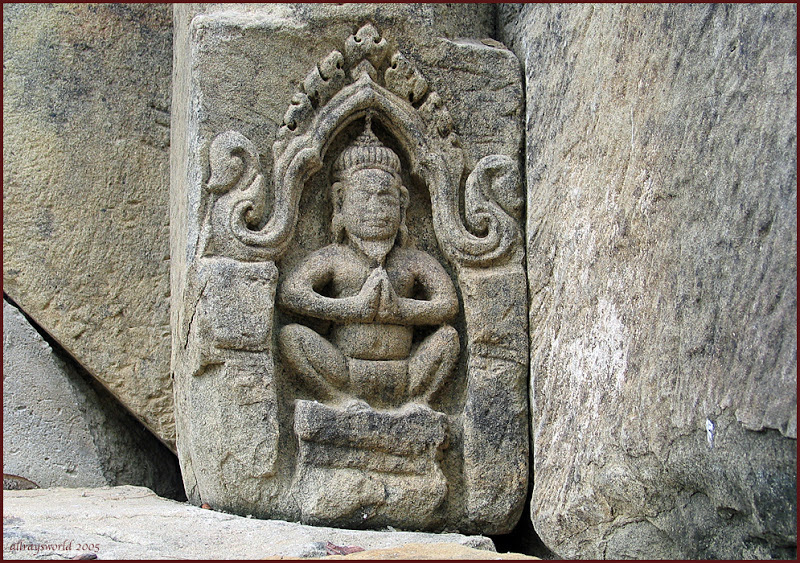 Evidently originally built as a Hindu shrine, in the Khmer Baphuan style, it contains numerous intricate and beautiful carvings. Straddles the border between Thailand and Cambodia, in Surin Province, and so is a source of considerable tension between the two countries...unfortunately this means that sometimes it is not possible to visit. Its a triple site, with interesting ruins at each site, and all within about 1 kilometre. Na's home Village is just a short drive from this site. In the city of Lopburi. I think this may be the most Western of all Khmer ruins, so is approximately the western boundary of the Khmer Kingdom. 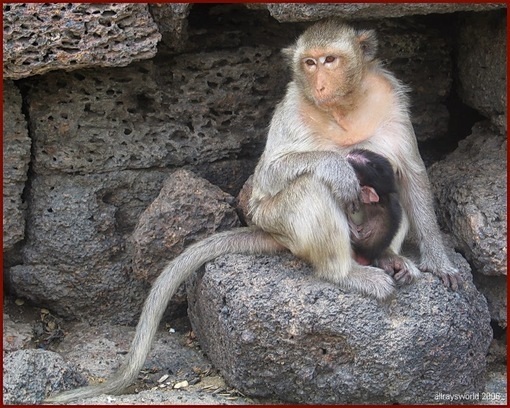 There are many Macaque monkeys at the ruins. Close to the Mekong River, near Pakse in Southern Laos, this site is believed to be one of the very oldest of Khmer ruins.